After dental implant surgery, implanted teeth are as good as your original teeth, naturally it requires meticulous care and prompt attention to maintain the beauty and dazzling brightness of the teeth. 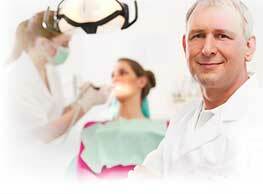 First seven to ten days after dental implant surgery are very critical to the healing process. During this period the process of integration of the implant to the surroundings starts. During this period follow the instructions of your doctor meticulously. This may include diet restrictions, fomentation of the area of implant, flossing your teeth with good antiseptic mouthwash, maintaining good oral hygiene, taking the prescribed etc. Visit your doctor regularly at least once in every six months. If any issues with the implants are noticed inform the doctor immediately.